Students on spring break are doing their best to enjoy vacation as red tide is still plaguing Collier County beaches. Dead fish and respiratory irritation have been reported on Tuesday from Barefoot Bach south to South Marco Beach, according to the county’s website. 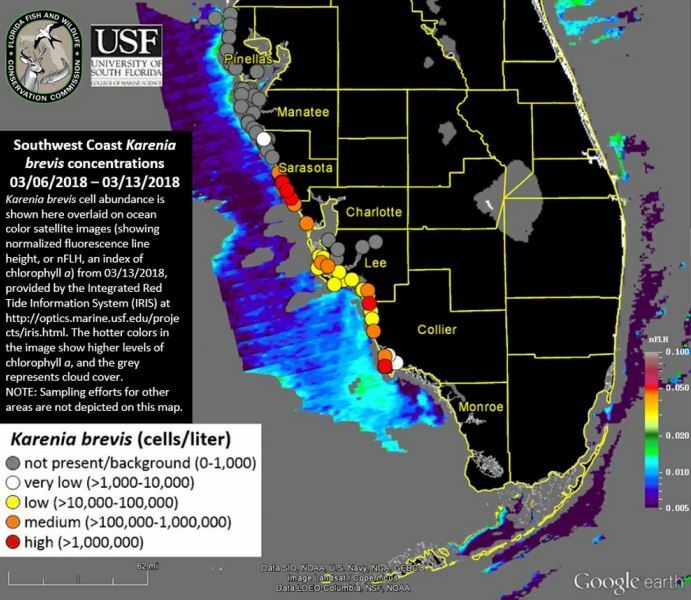 Red tide impacts are a continued possibility through Friday at Collier County beaches. The county utilizes a National Oceanic and Atmospheric Administration contractor and their own park rangers to cleanup dead fish on Barefoot Beach. The next sampling is scheduled for Thursday. To report dead fish or red tide symptoms call Collier County Pollution Control at 239-252-2502. Red tide updates are available on the Red Tide Hotline at 239-252-2591.